Ada pertanyaan untuk Mirax Boutique Hotel? 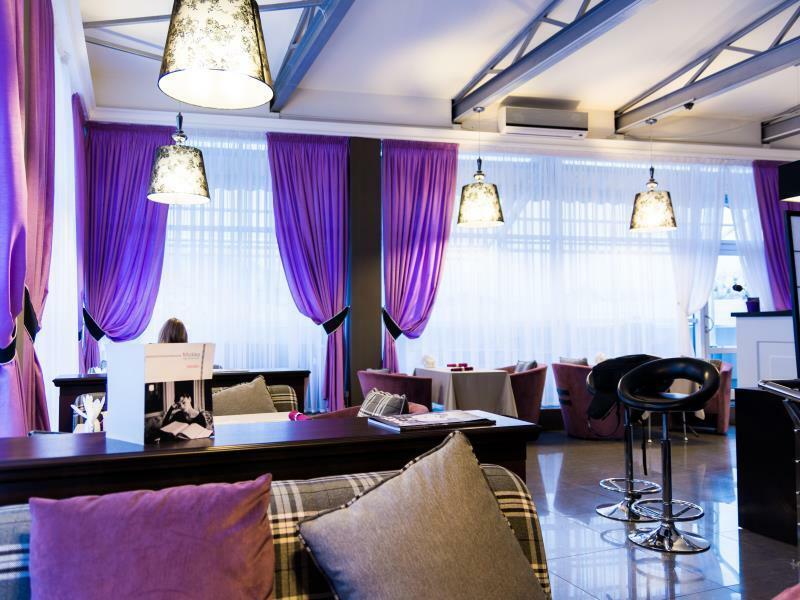 Terletak strategis di Pusat Kota Kharkiv, Mirax Boutique Hotel adalah tempat ideal untuk memulai menjelajahi Kharkiv. Dari sini, para tamu dapat menikmati akses mudah ke semua hal yang dapat ditemukan di sebuah kota yang aktif ini. Hotel modern ini terletak di sekitar obyek wisata populer kota ini seperti Proton, Metallist Stadium, St. Peter and Paul Church. Dengan menawarkan pelayanan superior dan sejumlah fasilitas kepada para tamu hotel, Mirax Boutique Hotel berkomitmen untuk memastikan penginapan Anda senyaman mungkin. Ketika menginap di properti yang luar biasa ini, para tamu dapat menikmati layanan kamar 24 jam, WiFi gratis di semua kamar, Wi-fi di tempat umum, tempat parkir mobil, layanan kamar. Hotel ini memiliki 10 kamar yang didesain dengan indah. Banyak kamar memiliki televisi layar datar, akses internet WiFi (gratis), bak mandi whirlpool, kamar bebas asap rokok, AC. Pusat kebugaran, pijat di hotel ini adalah tempat-tempat ideal untuk bersantai setelah hari yang sibuk. 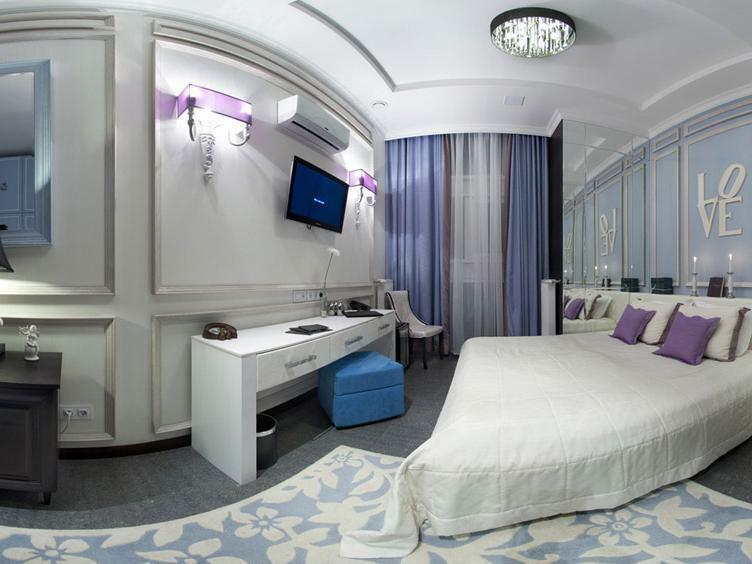 Mirax Boutique Hotel adalah tempat menginap ideal bagi para wisatawan yang mencari pesona dan kenyamanan dari Kharkiv. Harap perhatikan bahwa pajak turisme sebesar 1% dari tarif kamar harus dibayar langsung kepada pihak hotel. Great staff with a great breakfast! I stayed eight days-nice little hotel. Quiet with friendly staff. The front desk people speak English. Metalist Stadium is 1.4km away. If you need something, there are stores, pharmacy, bakery, an open market with fresh vegetables and fruit one km away. The tram stops just at the corner-two minute walk. They have Uber in Kharkov. I walk with a cane so I took an Uber to Metalist and walked back 1.4 km-Uber was 44 hyrvinia-$1.62 US. They have free breakfast which is very good in my opinion. Try the crepes stuffed with mushrooms and chicken in a creamy sauce-yum yum. Fresh fruit with cream also very tasty. There’s a full gym on the fifth floor-I used the stationary bike a couple of times. There is a grocery store underneath the hotel where you can buy fresh fruit, chocolates, personal items and groceries. It’s not the Ritz but I like staying there very much-when I go to Kharkov, I will stay there again. WOW! Difficult to pick just three but I will say the best 3 are 1) Staff especially the cleaners! 2) Comfort of the Hotel 3) Value for money! I cannot speak highly enough about this Hotel. I have stayed in Hotels all over the world and this one is just the cleanest and most comfortable and friendly Hotels. The bath was wonderful, the bed really comfortable, it was super clean at all times! Nothing too much trouble for the staff. There is gym on site which is state of the art, equipped to 5 star standard, free for Hotel guests. Breakfast is cooked fresh while you wait everyday - very tasty! ...............I would have awarded it 9.9/10. One slight issue was that the Cable TV channel choice was poor, plenty of Russian channels but no English speaking news, no Al Jazeera, no BBC, no Channel Asia News and no RT. Over a 18 day period I found the friendly staff along with the quiet location to my liking. It's 2.3 kilometre distance from the city centre was well within walking distance and it was centrality located for other activities. Overall I was very impressed with this hotel. Had a great time at the hotel, the service was good, and the staff was always friendly. The hotel was hard to locate, it is very anonymous and located above a grocery store. Very nice interior and it was clean. I would stay here again. The rooms are nice and good bathrooms except water pressure in shower is weak and hot water is off and on. Restaurant service is not good and the food is fair. Great location for me, but it is not in the center of the city and it is not in walking distance. Very good gym and a 24/7 market on the ground floor accessible from within the hotel. They do not have an elevator, so bags have to be carried and they do not have staff to help carry bags. The stairway often smells bad because, I think, it also leads to the garbage area. With that said, I would stay here again. Need to have more variety in restaurant..rest everything was amazing. .
très bon hôtel, proche du métro, personnel agréable mais quelques défauts : literie raide, moustiques dans la chambre, réfrigérateur fonctionne mal et température de la douche irrégulière. Au départ, ils ont essayé de nous faire payer la chambre alors qu'elle avait été payée lors de la résa. Потрясающий отель! Каждый номер в своем стиле! Дружелюбный персонал, все покажут, все расскажут... В отеле, если не ошибаюсь всего 11 номеров, очень уютный...Мы жили в номере superior: просторный, светлый и очень красивый...Хочу предупредить, что номеров superior в отеле всего 2: один с ванной другой с душем, так что уточняйте какой именно вы хотите забронировать.В номере был сейф, чайник, тапочки, халаты...Завтрак по меню, причем безумно вкусный! Также отель имеет при себе бесплатный для посетителей Тренажерный Зал, а также спа... Как только заходишь в отель, чувствуешь прекрасный запах ароматических средств. Следующий раз обязательно осьановлюсь именно в этом отеле! 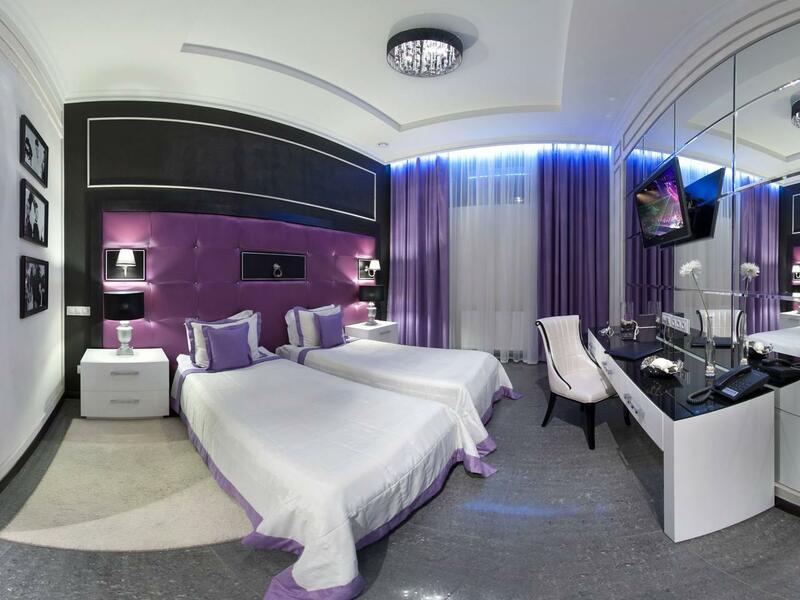 Fiyatına oranla çok hoş bir butik otel.